Kicking off the annual Outdoor Retailer Snow Show in downtown Denver, three of the industry’s largest trade groups announced the Outdoor Business Climate Partnership. The alliance of Boulder’s Outdoor Industry Association, SnowSports Industries America and the National Ski Areas Association will not only encourage their thousands of members to embrace a lighter carbon footprint but will use its surging political clout to encourage policies that reduce greenhouse gas emissions and renewable energy at state and utility levels. Wednesday’s call to arms urged the thousands of businesses that feed the country’s $887 billion outdoor recreation economy to lead a movement against a warming climate that threatens livelihoods and lifestyles. OIA, which represents 1,300 outdoor manufacturers, suppliers and retailers, has spent the last decade assembling tools to help its members reduce their environmental impacts. By partnering with NSAA and SIA, the group now hopes to begin pushing for state and federal climate legislation. It’s a confident step into the political realm for an industry that is relishing its political muscle as one of the country’s most vibrant economic engines. She pointed to her company’s 2017 commitment to have zero net carbon emissions, send zero waste to landfills and have a zero net operating impact on forests by 2030 as her company’s industry-leading strategy to protect the environment. “We have a unique and special obligation to do the right thing by the environment,” she said. A November 2018 site inspection report provided to the New Mexico Environment Department (NMED), and obtained by NM Political Report this week, details the contamination. Currently, the state is trying to understand the extent of the problem and what might be done. According to the report, in 2016, the U.S. Air Force identified 31 potential release sites at Holloman. 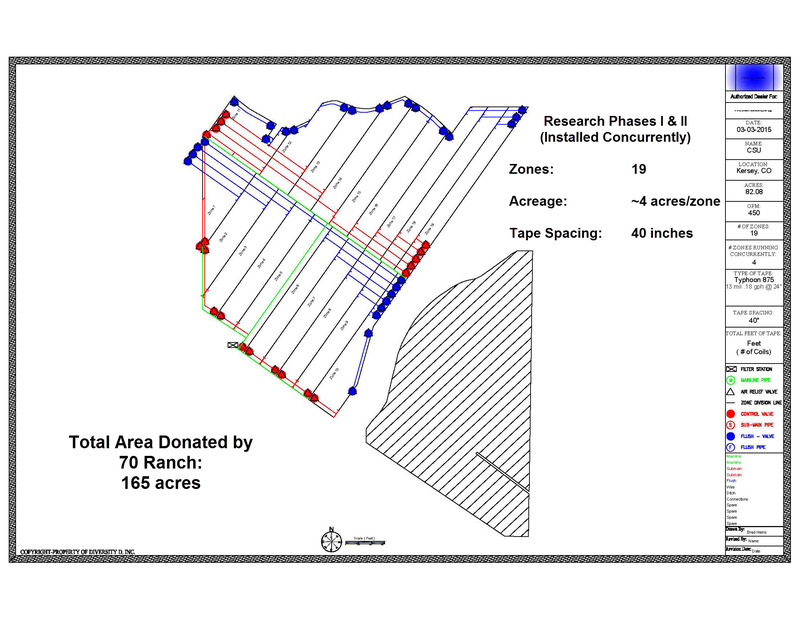 Two years later, in 2018, contractors tested five areas to determine if PFAS were present in soil, sediment, ground or surface water. PFAS, or per- and polyfluoroalkyl substances, are a class of human-made chemicals, and include perfluorooctanoic acid (PFOA) and perfluorooctane sulfonate (PFOS). The nearly two decades of low snowpack is being called a drought, and tree rings show it’s the most severe in over 1,200 years. The term drought, however, implies it will end someday. But there are serious questions about whether this is a drought or a permanent drying of the West due to a changing climate. Few doubt that things are building toward crisis. Last year junior water users on the Yampa River, a tributary to the Colorado, were forced to face the new reality when officials ordered them to stop taking their allocated water and allow it to flow to senior users downstream. In places, the river channel was dry; fishing and float trips were also halted. As things get tighter throughout the Colorado River Basin, irrigators, who control 80 percent of the water on the river, fully expect others to come looking for their water. One place that has been preparing a strategy to try and head off a raid on its water is in Mesa County in western Colorado. The Grand Valley Water Users Association was founded in 1905 as part of the U.S. Bureau of Reclamation. It operates the canal, as well as 150 miles of pipe and open ditch that carry water to a little more than 23,000 acres of land. Without water to service this network — and with only 9 annual inches of precipitation — a new dust bowl could be in the offing. 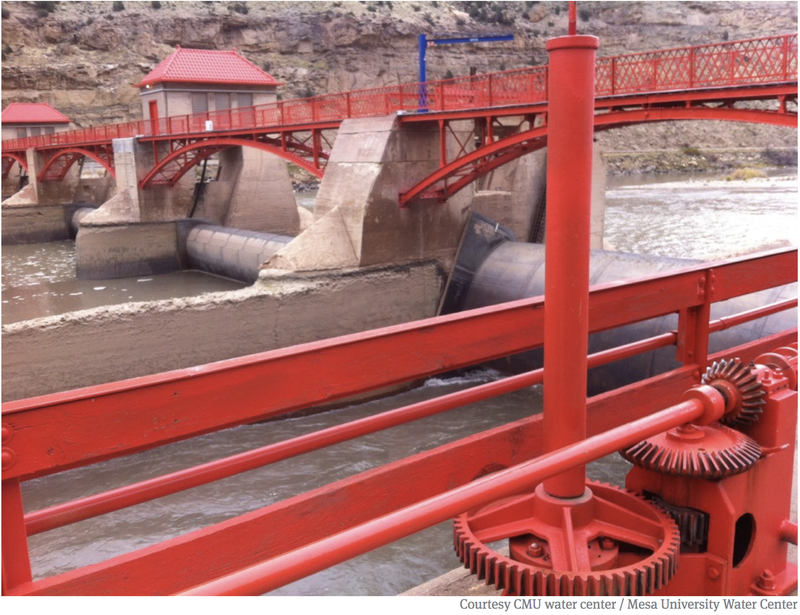 The water that many farmers and ranchers use on the Colorado is now cheap. Senior users like those in the Grand Valley pay from $25 to $50 for an irrigated acre for the season. A hundred acres of, say, alfalfa, the single largest crop along the river, needs up to 2 feet of water per acre. Water to irrigate for the season then, would cost the farmer about $2,500 to $5,000. The net profit from the hay is about $300 an acre, so the farmer would make about $30,000 on the 100 acres after costs. Currently water is selling on the open market for about $200 to $250 an acre-foot for a season, well above what farmers in the Grand Valley are paying. The rules of the Grand Valley Water Users Association do not permit separating water from the land; but if the exigencies of the drought were to cause the rules to change, on today’s market the value of the water from those 100 acres would be worth about $40,000 for a season. In that case, farmers could make more money selling their water rights than by continuing to farm. And if the crisis were to deepen and junior users such as the city of Denver were to lose their water and needed to look elsewhere, the lease price of an acre-foot for the season could go as high as $1,000, some experts say. That would mean farmers could make $100,000 annually by selling their water rights and fallowing their 100 acres. “We don’t want an unfettered free market for water,” said Harris. “That would be a disaster,” with a range of unintended consequences.While many farmers could do well financially in the advent of a crisis, those who continued farming would see their neighbors start to disappear as farms and ranches were abandoned. And if the crisis was prolonged or permanent, and more and more water was siphoned off to cities, it could threaten the very existence of farming communities around the basin. It’s happened on a large scale before — most famously in California in the Owens River north of Los Angeles in the early 1900s, as depicted in the fictional 1974 film “Chinatown.” William Mulholland, head of the Los Angeles Department of Power and Water, secretly began buying up ranch and farmland with water rights along the Owens River in the eastern Sierras. Officials then built an aqueduct and piped that water to Los Angeles to fuel the city’s growth. The Owens Valley is now mostly arid. Beyond the impact on the rural social fabric, dewatering agricultural areas in the Colorado Basin would cause other serious problems, from reducing food security, to less open space if the land were developed for housing, which would release the carbon sequestered in farm fields and eliminate wildlife habitat. 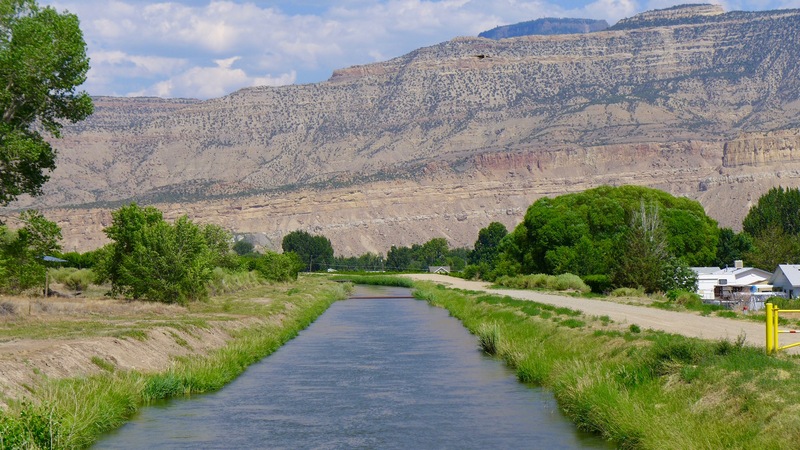 The Grand Valley Water Users Association has partnered with The Nature Conservancy, which is taking a lead role in helping agricultural interests find ways to survive the future, here in Mesa County and elsewhere in the Colorado River Basin. 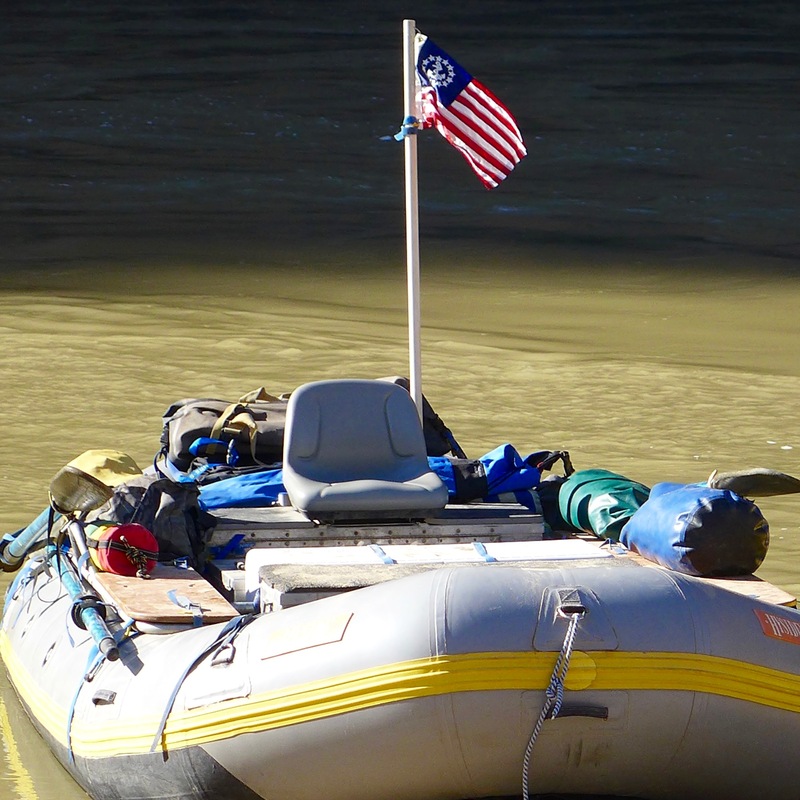 In the last several years, an array of projects has been initiated around the basin — from western Colorado, to central and southern Arizona, to the upper Green River of Wyoming, to the borderlands of Mexico — to try to find solutions and, if they work, scale them up all along the Colorado. The Nature Conservancy, for example, has helped create a water bank here in the Grand Valley. Under a two-year pilot program, some farmers are paid to fallow their land — not grow anything on it — and leave the water they would have used in the river. So far, Grand Valley farmers have fallowed 2,200 acres, which has enabled them to leave 6,000 acre-feet of water flowing in the Colorado. They were compensated for the loss of their crops, plus paid a premium for participating. Saving that water also helped the local irrigation district meet its obligations under the Endangered Species Act to protect fish by keeping more water in the river. The states of the compact are also working to find solutions. 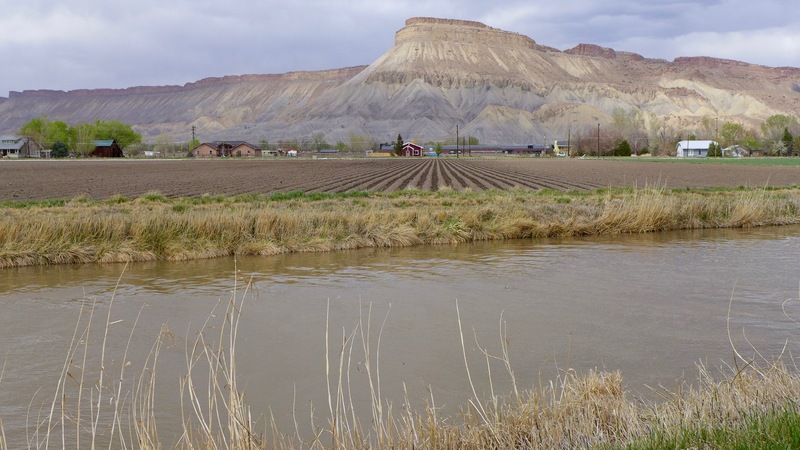 The Upper Basin states — Utah, New Mexico, Colorado, and Wyoming — have instituted a multi-faceted conservation program that tests ways to reduce water use, including fallowing land with compensation, irrigating crops with less water, and cutting back on municipal water use. The Lower Basin states — Nevada, Arizona, and California — are funding a host of initiatives; the city of Needles, California, for example, was given $500,000 to tear up sod at the city golf course and install drought-tolerant landscaping. The Lower Basin states are also working on a Drought Contingency Plan. As drought conditions continue to worsen, they are coming up with ways to voluntarily give up hundreds of thousands of acre-feet of water to keep Lake Mead, the key reservoir on the Colorado, above crisis levels. This would avoid the imposition of an officially declared emergency, which would force these states to make even larger cuts. 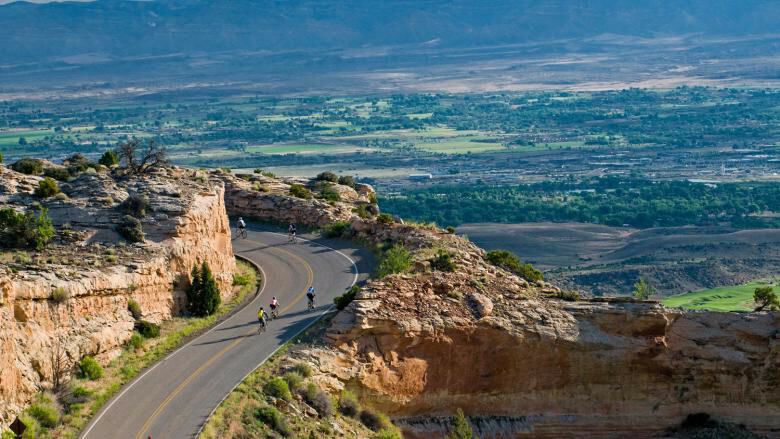 In Arizona’s Verde Valley, between Phoenix and Flagstaff, a different approach is being used. The Verde River is small, but a rare perennial desert river, borne of mountain springs in Arizona’s central highlands — a true oasis. It’s a tributary to the Salt River, which flows into the Gila River and on to the Colorado. It’s hard to overestimate the importance of desert rivers like this to biodiversity — 90 percent of all wildlife in deserts is found within a mile of a river. It’s also a critical water source for metro Phoenix. A decade ago, The Nature Conservancy’s Kim Schonek came to the Verde Valley to work with local farmers to improve the river’s flow. 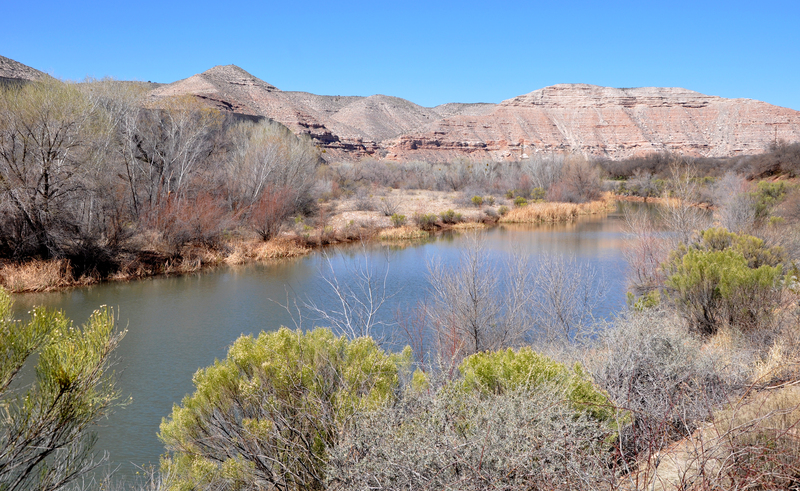 The meandering, cottonwood tree-lined river is home to several endangered species, including the southwestern willow flycatcher and the loach minnow and spike dace, desert fish that are adapted to natural flows. The Nature Conservancy raised money from Coca-Cola, PepsiCo Recycling, Boeing, and other companies in Phoenix, as well as the city itself, all of which get water from the Verde and who have a stake in a more secure supply. With this funding, they are doing things such as updating irrigation technology to keep more water in the river. Some of the fixes were simple. There were old-fashioned hand-cranked headgates along the river that farmers used to open or close by turning a wheel on top. Notoriously inefficient, the whole flow of the river was often diverted, and sections were inadvertently dried up for miles. The cantankerous headgates have been replaced with $40,000 electronic ones that neither the farmers nor the ditch companies could afford on their own. Other strategies have been more challenging. The Hausers are part of an experiment to swap out 144 acres of alfalfa and replace it with barley. Not only does barley use about half the water of alfalfa, it uses that water in the spring when the flows are high and doesn’t take water out of the river during critical summer periods. The Nature Conservancy has also raised money to build a small barley malting facility, Sinagua Malt, to get the malt ready for beer brewers. Local breweries have snapped up this malt and use it for their beer, and the fact that it is helping save the Verde has become a marketing point. “It’s the essence of naturalism and conservation that truly excites this brewery!” the Arizona Wilderness Brewing Company boasts on its homepage. The funding has also allowed the Hausers to install drip irrigation to raise their watermelons and their locally-renowned sweet corn — so good, it’s said, that many people eat it raw — with a lot less water. The city of Phoenix, which sources water from the Salt and the Verde, is contributing to these conservation initiatives. It pays for forest thinning to prevent wildfires so the river won’t be inundated with post-fire ash and mud and become unusable for the city’s water supply. Groundwater, too, is an issue that environmentalists are looking to address along the Colorado and its tributaries. The Nature Conservancy has a groundwater-focused project in southern Arizona to protect the San Pedro, the longest undammed free-flowing river in the Southwest and home to an astonishing array of biodiversity: nearly 400 bird species, several dozen reptile and amphibian species, 84 mammal species, including jaguars, and a suite of terrestrial and aquatic endangered species. The San Pedro — one of only two major rivers that flow north out of Mexico into the United States — flows into the Gila, a major tributary to the Colorado. Groundwater pumping for homes and farms are reducing the San Pedro’s flows so that some sections of the river have dried up, which is impacting biodiversity. Among other strategies, The Nature Conservancy has, with partners, purchased properties that capture stormwater runoff and funnel it into zones where it can seep into the ground and recharge groundwater supplies.